Product prices and availability are accurate as of 2019-04-22 03:44:49 UTC and are subject to change. Any price and availability information displayed on http://www.amazon.com/ at the time of purchase will apply to the purchase of this product. 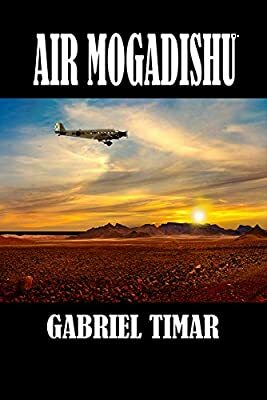 Set in the nineteen thirties over the hot, arid desert of the Horn of Africa, Air Mogadishu depicts the saga of an Englishwoman, an ailing airline, an aging war hero, and a dashing RAF officer. She struggles to succeed in a man's profession, while trying to choose between two men. This is a rollicking great adventure of back in the days when Britain ruled the world and men were men and women were women and you could still tell the difference. The author obviously knows his stuff and the aviation sequences hark back to a time when flying was still an adventure that mass tourism had not discovered. Timar keeps the story moving and every page makes you want to meet Laura, sooner rather than later. What I want to know is: when will the movie be made? The story would be perfect for the silver screen. Born in Hungary in 1932, a cadet at the elite military school of Nagykaroly during World War II, Gabriel Timar studied civil engineering at Budapest University. Taking active part in the 1956 revolution, he decided to defect to the West. In the United Kingdom he worked as a structural designer. Ten months later he immigrated to Canada and worked as an engineer. After seven years, he got his first contract in Asia. For the next twenty-odd years he worked in Africa, Asia and the South Pacific as a consulting engineer, chief executive officer, United Nations environmental engineering advisor and finally as a professor. In 1982 he married, returned to Canada with his Hungarian wife and taught environmental engineering at Seneca College in Toronto. In 1994 he retired as the Chair of the School of Civil and Resources Engineering Technology. Following his retirement he began writing. To date, he has published sixteen novels in English and Hungarian, ten English language novels to his credit as shown on the home page. He also wrote several manuals and college textbooks published by the Province of Ontario, Seneca College, United Nations and the University of Malawi.